Presented in a different way, portfolio allocation refers to the idea of spreading the savings in your retirement fund across different investments, just like the old saying “don’t put all your eggs in one basket”. This section gives an overview of the three main types of retirement saving vehicles – 401(k), IRA and Roth IRA – covering the advantages and disadvantages of each. Here we explain the importance of knowing your retirement goals and having a robust strategy in order to achieve them. Most people want to know “what is my retirement number?” meaning how much do they need to save to earn “x” dollars in retirement income each year. We provide a specific retirement fund example to give you a much clearer idea of how much your total retirement savings need to be to hit $70,000 in total retirement income per annum. 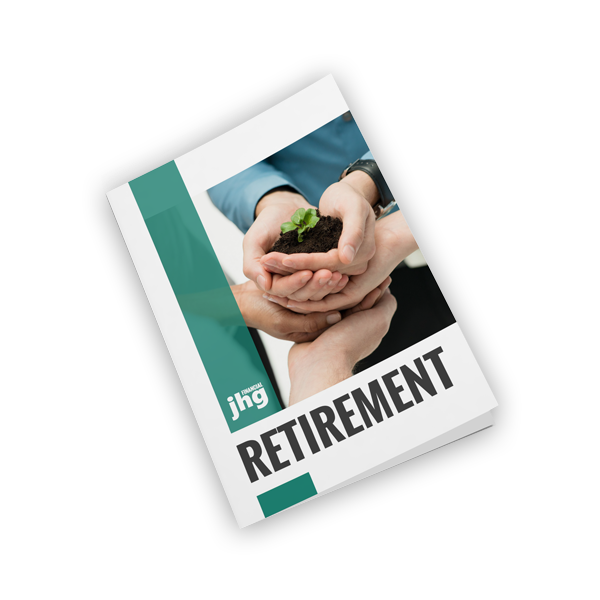 Whilst this book provides a good general overview of the retirement planning landscape, each individual’s personal circumstances differ, as do their retirement goals. It is particularly valuable to seek out independent or fiduciary financial advice from someone who is legally obliged to act in your best interests. This can help you identify opportunities and threats relevant to your retirement plan, put together a clear end-goal as well as a specific step-by-step strategy to achieve that vision. Securities offered through Uhlmann Price Securities, LLC. Member FINRA/SIPC. So let’s get started and cover the important elements of portfolio allocation. So let’s get started and cover the important elements of portfolio allocation. Copyright JHG Financial Advisors LLC.